U.S. Secretary of State Mike Pompeo says that his worldview is informed by his faith – there’s no separating the two. “Of course my mission as a Secretary of State, the thing I raised my right hand to do, I swore to support and defend the Constitution of the United States and I’ve done that now a handful of times – first as a soldier, then as a member of Congress, then as the director of the CIA, now as Secretary of State,” Pompeo told CBN News in an interview published on April 3. Pompeo, a former Sunday School teacher, spoke often in religious tones about radical Islamic terrorism during his time on Capitol Hill. 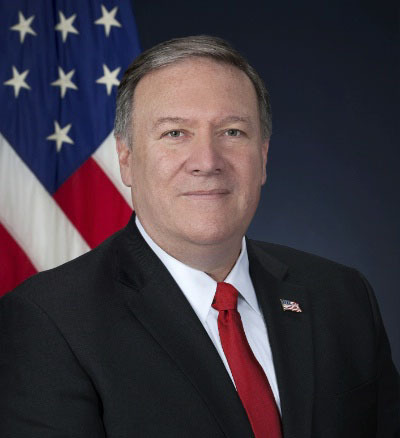 “I will tell you that it is absolutely a minority within the Muslim faith but these folks are serious and they abhor Christians and will continue to press against us until we make sure that we pray and stand and fight and make sure that we know that Jesus Christ is our savior is truly the only solution for our world,” Pompeo told CBN News. Also during the interview, he talked about God when it comes to Israel. “I am confident that the Lord is at work here,” Pompeo said.